When you harvest the terminal bud of the tea plant several times, the stem becomes stressed and stops producing a new bud. 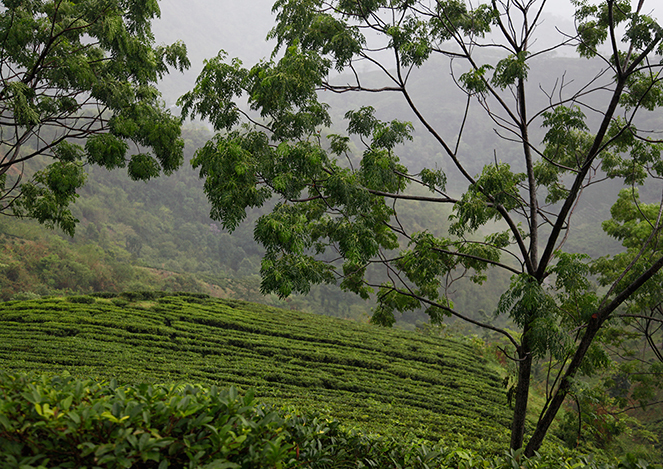 This phenomenon of dormancy, known as “banjhi” in Darjeeling, marks the end of the spring harvest (first flush). If I had to give my assessment of this season in Darjeeling, I’d say we received batches of very varying quality, and few of exceptional quality. But I’ll conclude on a good note, with the choice of a Puttabong Clonal Queen DJ48 and a Margaret’s Hope Tippy Clonal DJ30. The first represents what Puttabong does best; the second is quite simply breathtaking.